To practice as a lawyer in New Zealand you must have a recognized law qualification as well as complete a practical course which is administered by college of law New Zealand or IPLS. You must be a fit and a proper person. One must be enrolled to the roll of Barristers and Solicitors of the High Court of New Zealand and also have a practicing certificate from the New Zealand law society. All the lawyers are regulated by New Zealand law society. You must renew your practicing certificate annually. All lawyers must complete CPD- Continuous Professional development. They must have spent 10 hours each year in the process of their Continuous Professional Development. Lawyers who are trained in New Zealand may work as Barristers or Solicitors. Barristers mainly work in courts and tribunals. Solicitors’ area of work involves general advisory work, property transactions, drafting wills, administrations estates, forming companies, making contracts etc. If the students have a broader qualification like honours or a post graduate study in law then there is a broad range of job opportunities. A person may also choose to work as a legal executive. For this you need to have a New Zealand Diploma in legal studies. As a legal executive the scope of work includes searching public registers, preparing and filing documents, preparing estates, sale and purchase of real estate or a business, and debt recovery. You may also interview the clients on the behalf of the lawyer. To practice as a lawyer in Australia one needs to have a recognized law qualification and must complete a practical legal training-PLT. Completing PLT makes you eligible for Graduate Diploma of legal practice. You must also be a fit and a proper person. 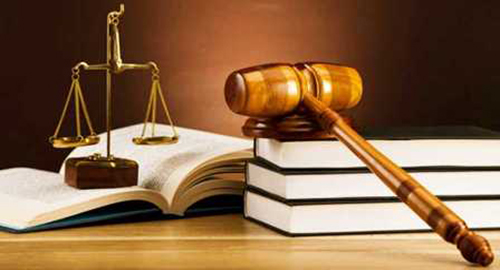 You must be admitted into the legal profession and hold a current practicing certificate. Every state in Australia has its admitting authority and you need to apply to the authority where you are seeking admission as a lawyer. A practicing certificate allows you to provide legal services. For first 2 years of practice you need to practice law under supervision. With the practicing certificate of one state you may practice law in other states without additional practice certificate. The practicing certificates in Australia need to be renewed every year. You need to complete mandatory CPD- Continuing Professional Development. Different states may have different CPD rules. Lawyers in Australia may work as Barristers and Solicitors. The major work of the Barristers is to make court appearances. Solicitor’s area of work involves conveyance of property transactions or providing legal services to businesses such as drafting contracts, the protection of intellectual property, the filing of defamation suits, and advice on regulatory issues or any other type of legal service which their clients will need in order to assure their business processes. As a solicitor you may choose to have a private practice or work with a firm. The Federation of law societies of Canada develops national regulation standards for the legal profession. In Quebec French civil law is dominant and in all other provinces and territories of Canada English Common law is dominant. You need to have a recognised qualification and be licensed by the law society of the province or territory you wish to practice. Every territory and province has its own licensing requirements and you need to fulfill the requirements of the province you wish to get license from. You need to have a recognised qualification from accredited law school. You must be of good character. You need to pass the licensing examination. You must satisfy the experiential training component of the Lawyer Licensing Process. For this you need to complete the articling Program and then apply for licence of a lawyer in the province or territory you wish to practice. One may also choose to work as a paralegal. The role of the paralegal varies greatly between provinces, depending on regulation and regional preferences. To work as a paralegal in Ontario you must have a recognised degree from a Law society accredited Paralegal education program. You must be of good character and pass paralegal licensing examination to become licensed to practice as a paralegal. You need to have insurance before you start to provide legal services. Job responsibilities of paralegals include drafting documents conducting legal research assisting with transactions Effecting registrations and Communicating with client.